Believe it or not: People used to color glass with uranium (in oxide diuranate form). Queen for a year! Guess this is what we call #foodporn nowadays. Bicycle Queen: 1959. March 20, 1959. “Sixteen-year-old actress Annette Funicello, Bicycle Queen of 1959.” New York World-Telegram and Sun Photo Collection. 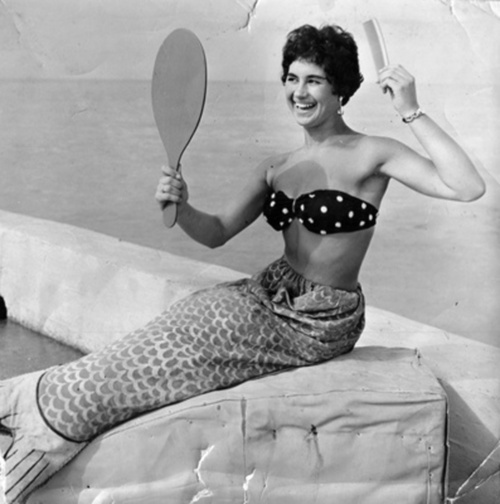 Miss Sadie Combden, winner of the “Mermaid” competition, 1955.